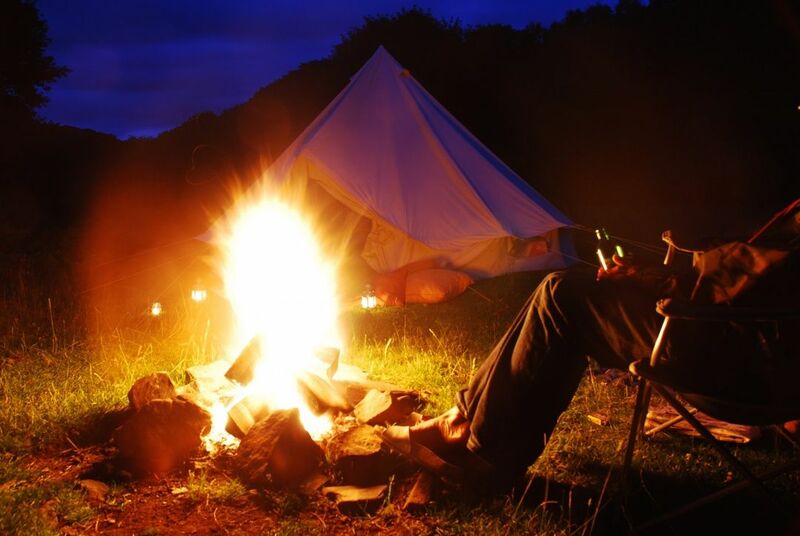 Looking for a field for a big weekend camp out just for friends and family? 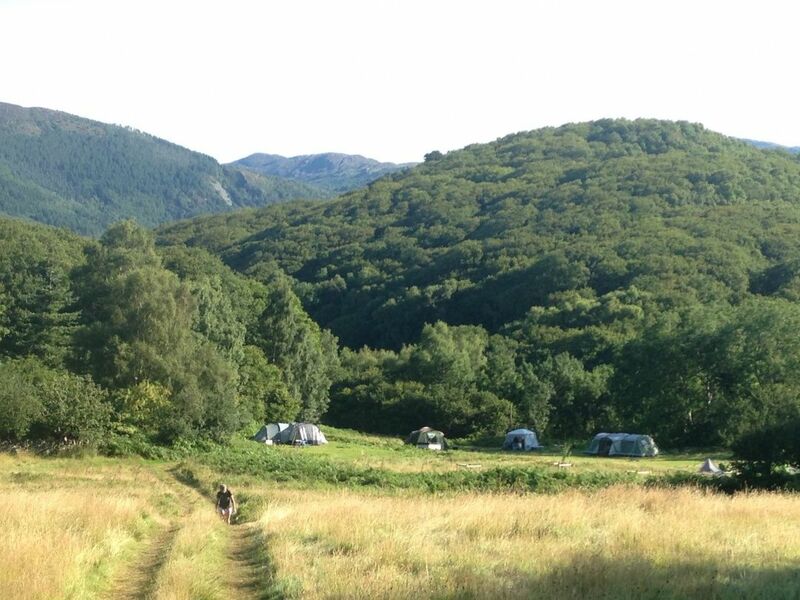 Our lower tent camping fields offer acres of wild meadow, woods and streams surrounded by incredible mountain scenery. Campfires are allowed and we have toilet, shower and car parking facilities. Exclusive hire of the entire lower fields is available outside of school and bank holidays during May, June and September. 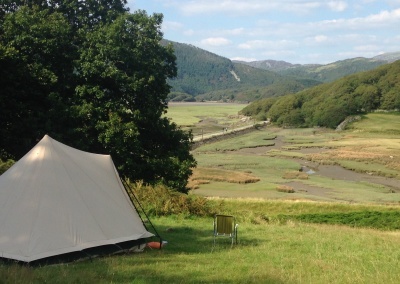 One field has breathtaking views across the Mawddach Estuary and can accommodate 6 tents. Up to 11 more tents can be pitched in other areas of the site, giving everyone plenty of space and seclusion from the rest of the group if they want it. Great for light sleepers, snorers or those with children who wake up early! Most areas of the fields are kept car-free but vehicle access is possible when required. There’s two taps, two very clean compost loos and 2 hot showers on the fields. 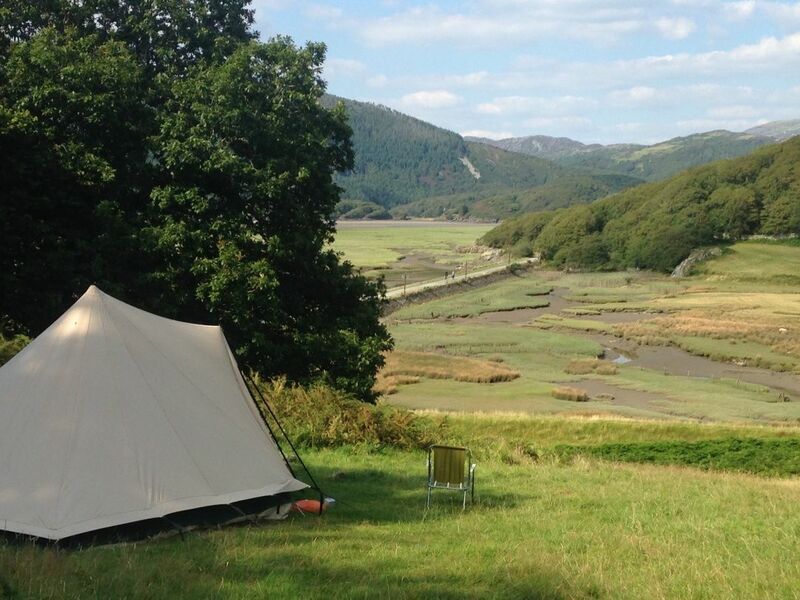 More showers and 4 other conventional loos are 5 – 10 minutes walk up the steep hill on our upper touring camp site. 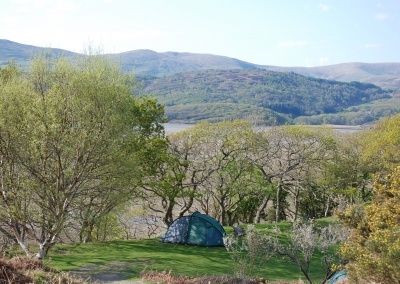 If you hire exclusive use of the lower fields, in addition you also need to hire Idris, the pop-up yurt which is sited down here and sleeps 4 people (£200 for 2 nights). There’s room on the upper touring site for up to 9 camper vans/ caravans / trailer tents, but this area is not included in the hire fee. 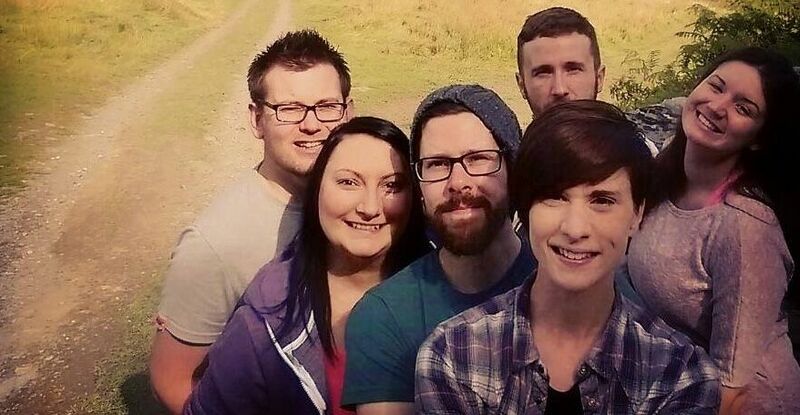 We also have yurts, B & B and self-catering options for those who don’t want to camp. You can hire a large barrel BBQ from us and we sell firewood and local charcoal. Delivery can be arranged of tasty sausages etc from the local farm and we can put you in touch with other suppliers of things like local ale, hog roasts or function tents. 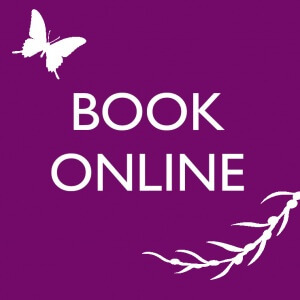 If you exclusively hire all the accommodation at Graig Wen and The Slate Shed B & B it is possible to have live music until later but otherwise we ask you respect your fellow guests in other areas of the site and leave the owls and oystercatchers to make the nighttime noises after 11pm. There is no electricity source on the lower fields. 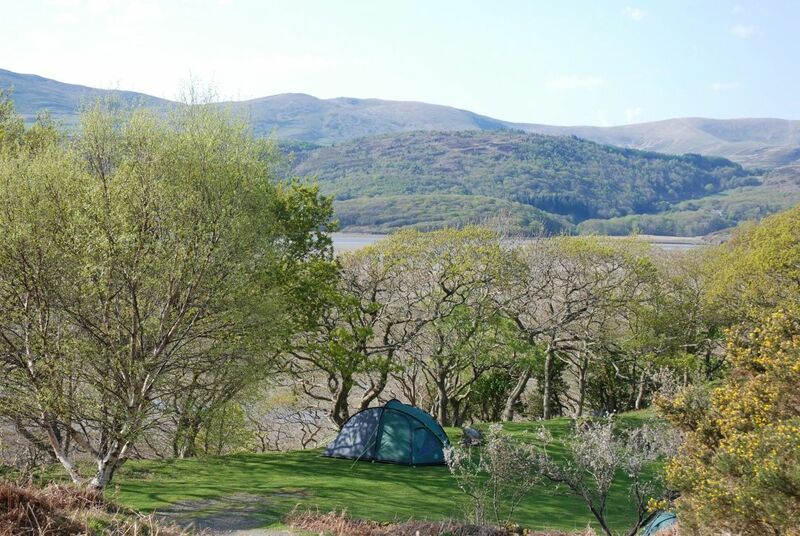 There are plenty of opportunities for den-building, stream-paddling and, with direct access to the Mawddach Trail, family cycling. 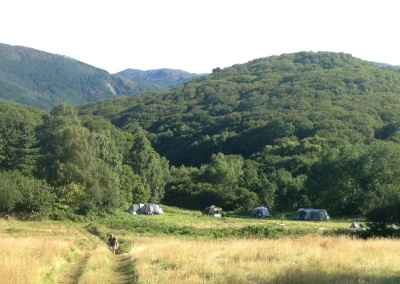 We can even arrange a group bushcraft session or wild food forage right here on site. Hire fee for use of lower fields – please contact us for costs.